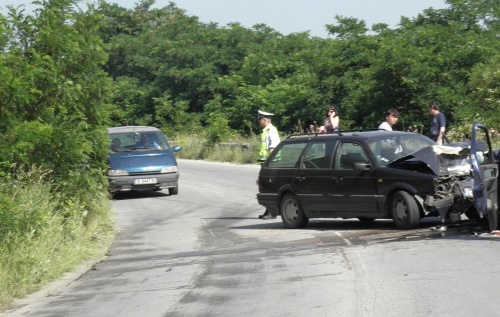 Bulgaria has seen a slight drop in road accident fatalities for the first six months, year-on-year, the interior minister has announced. From January to June 2010, 342 people have lost their lives in road accidents, which is 52 less than 2009, Minister Tsvetan Tsvetanov said and added that 250 people have died from car accidents. “Since February the police has been implementing a plan for people's safety on the road during the summer. We have increased the number of police officers on the roads because of the upcoming peak of Turkish citizens, passing through Bulgaria's territory on their way to or from Europe,” Tsvetanov said. Earlier, the minister has announced that there is a decrease in the number of serious road accidents, but as a whole, the number of casualties is still big. “Unfortunately, what we see in the past few days, in respect to the upcoming summer months, is that the killed and injured people on the road are still many,” he said. According to Tsvetanov, after July 1 the traffic on the highways and some roads is increasing. “The colleagues from the traffic police are working on an alternative roads due to the big traffic at these places in the summer,” he said. The Head of the Bulgarian Red Cross, Hristo Grigorov, has given the police a gift of 300 sanitary bags for rendering first aid. There are 900 policemen trained on Bulgarian Red Cross programs for rendering first aid.